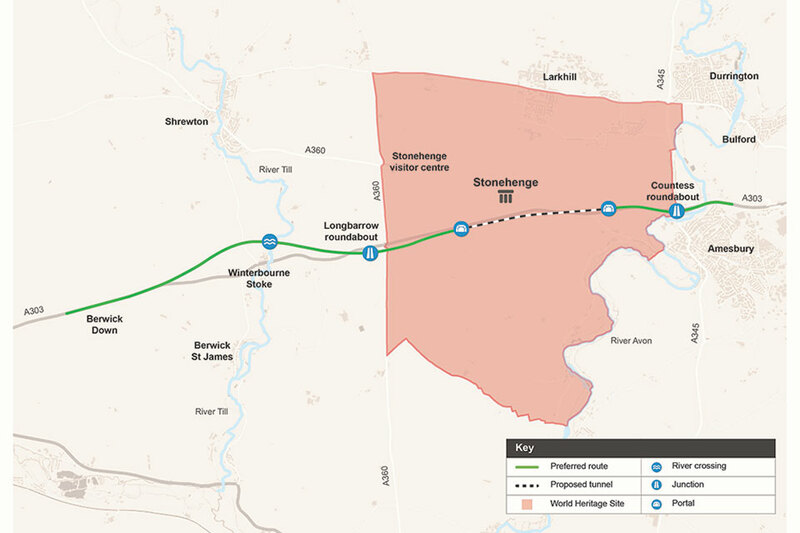 The route for the UK’s £1.6bn A303 upgrade, a key part of the ‘South West expressway’, has been published by the Transport Secretary Chris Grayling and includes the controversial 2.8km long Stonehenge Tunnel, effectively giving the green light to its construction. The tunnel near Stonehenge will remove the traffic blight on local communities and enhance the famous landmark. It will reconnect the 2 halves of the 6,500 acre World Heritage site which is currently split by the road, and remove the sight and sound of traffic from the Stonehenge landscape. a new bypass to the north of the village of Winterbourne Stoke junctions with the A345 and A360 either side of the World Heritage site.